GoAir decided to give Christmas and New Year gifts to the passengers by introducing special flights to Goa from 18th December, 2015 to 5th January, 2016 from Mumbai, Ahmedabad, Bengaluru and Kolkata. 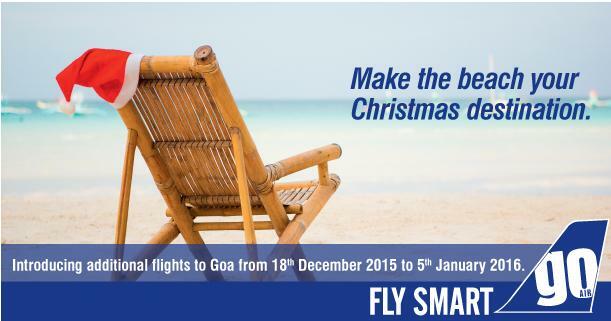 GoAir is an Indian Low cost carrier based in Mumbai. It started in November 2005. It is the aviation foray of the Wadia Group. 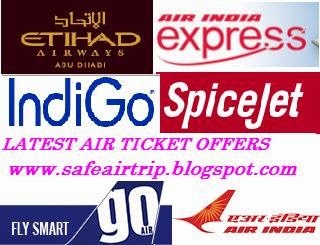 At present, it is the fifth largest airline in India by market share.